Municipalities use our dredges & pumps for WWTP & WTPs. SRS Crisafulli. Dredge Rentals. Many domestic and Canadian customers rent Crisafulli’s Rotomite and FLUMP dredges on short-term leases, and, after becoming familiar with the productive capabilities of the dredges, buy them. Applications. Municipal managers use Crisafulli dredges to dredge ponds, dredge lagoons and basins of waste water sludge or bio-solids, and to remove residuals and settled solids from ponds at potable water treatment plants. Custom Dredges. Crisafulli consulting engineers customize Crisafulli's dredges to efficiently manage solids at waste water and water treatment facilities. Automated Remote Controlled Dredges. Crisafulli's radio remote controlled automated FLUMP dredging systems save time and labor. Many domestic and Canadian customers rent Crisafulli’s Rotomite and FLUMP dredges on short-term leases, and, after becoming familiar with the productive capabilities of the dredges, buy them. Self-Propelled Dredges. Cities from coast-to-coast have chosen Crisafulli's self-propelled Rotomite, which operates without a traverse system, to dredge irregularly shaped ponds, lagoons, canals and waterways. The Rotomite has interchangeable cutterheads designed specifically for sludge, weeds, and heavy slurries, as well as a powerful pump that ensures highest flows. Features and Benefits. From years of experience, municipal managers know that Crisafulli pumps, dredges, and power units are engineered for performance, manufactured to last, and are supported with superior service. 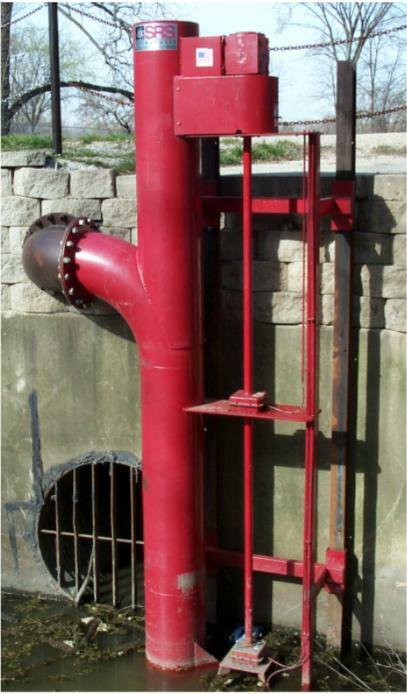 Crisafulli vertical pumps are ideal solutions for permanent pumping and control structures to enhance Municipal dike and storm water systems. 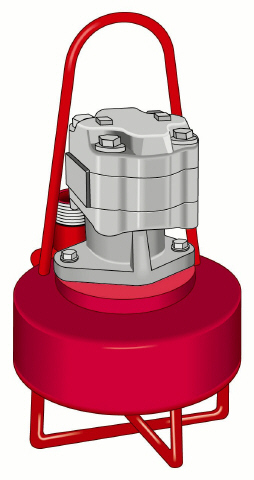 Crisafulli pumps pass grit and trash that cause other pumps to fail. Choose a dual drive (Electric/PTO) Crisafulli if your city faces power outages during storm events. Crisafulli offers auto-start pump control systems. Crisafulli portable trailer pumps can be deployed and operational within minutes. Most Crisafulli trailer pumps are PTO powered, but municipalities often choose Crisafulli's diesel engine-on-frame model for use at remote pump sites, or Crisafulli's electric motor on frame model for quiet operation in residential areas. © 2015-2018 SRS Crisafulli, Inc.